GOVERNMENT TEACHER: GPSC VARIOUS CLASS -1-2 PRELIMINARY EXAM CALL LETTER DOWNLOAD NOTIFICATION DECLARED. 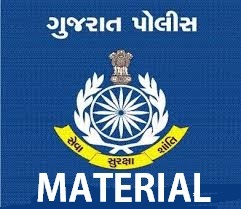 GPSC VARIOUS CLASS -1-2 PRELIMINARY EXAM CALL LETTER DOWNLOAD NOTIFICATION DECLARED. Aadarsh NIVASI SCHOOL NA PRINCIPAL CLASS-2. Click Here To Read Notification.